Mr Leon Taylor: Reference is important to me. Reference is important to me. When I was young I had this idea that all artist just came up with ideas from their head. I was later to find that this was far from the truth. This idea had held me back. I had always been self taught until 2010. The biggest lesson. Not only is reference everything but it is crucial to inspiration and making things "look right". What ever it may be I aim to become the expert. It is important. Using reference is one thing. Copying directly is not cool I only see this as lazy. Unless of course this is what the commission or piece is like fan art (which I love). But still be mindful the Internet is a small place among artist. Especially the animation community. How to use reference then? I take photos and share them on twitter, instagram, tumblr and facebook. Here are some I have gathered this year. It is helping show how my mind works and has a large library of categorised sky textures and backgrounds . 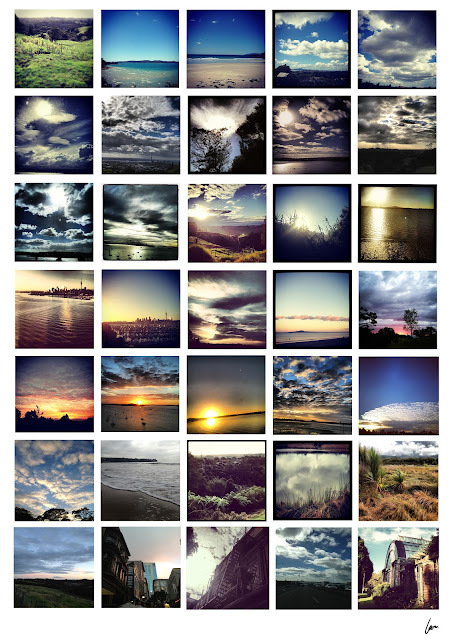 That I can now digitally capture as well and group into my favourites .Just double click to check out the larger image. Feel free to use my reference too. I love to share my work.